Free shipping. Buy direct from HP. 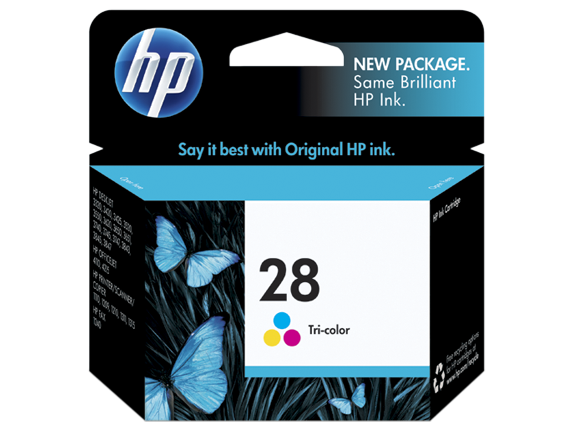 See customer reviews and comparisons for the HP 28 Tri-color Original Ink Cartridge. Upgrades and savings on select products. The HP 28 Tri-color Ink Cartridge produces brilliant, longer-lasting photo-quality output using patented dye-based inks formulated to work precisely with your HP printing system for outstanding results every time.